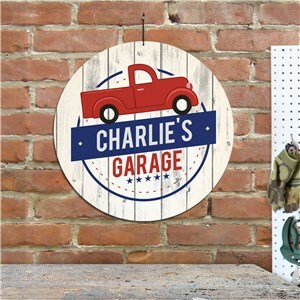 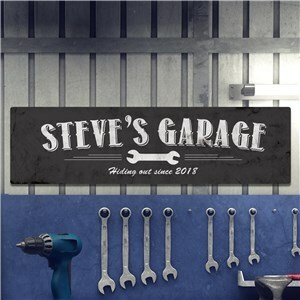 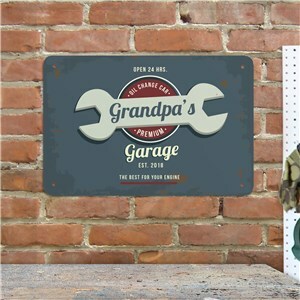 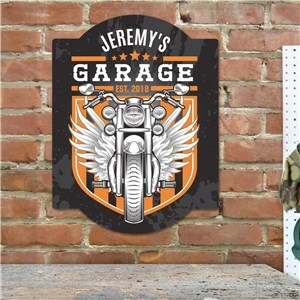 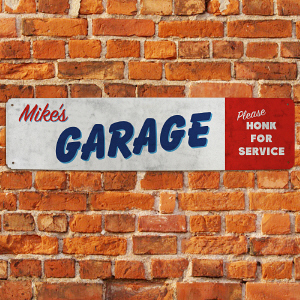 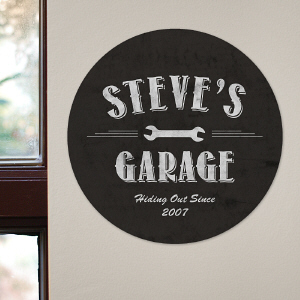 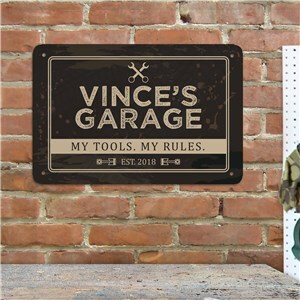 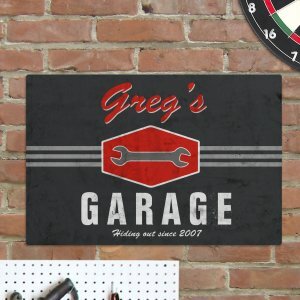 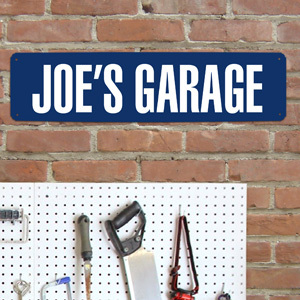 He's got his tools, his engines and gears - all he needs is a personalized garage sign to show everyone who's boss! 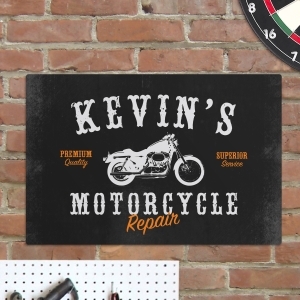 Personalize a sign for him today. 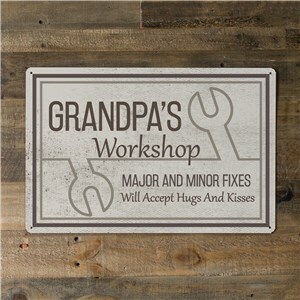 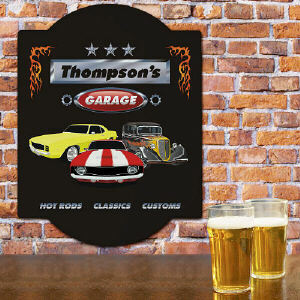 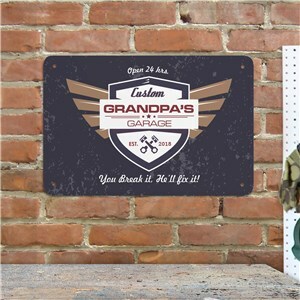 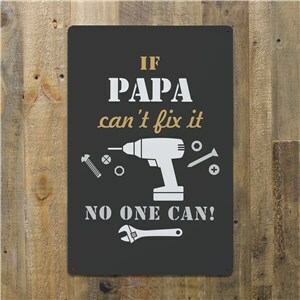 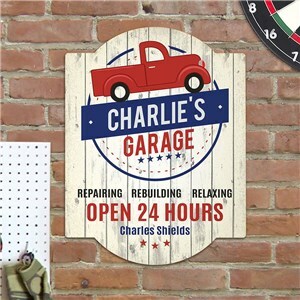 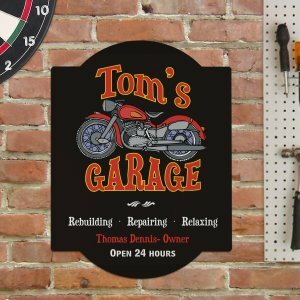 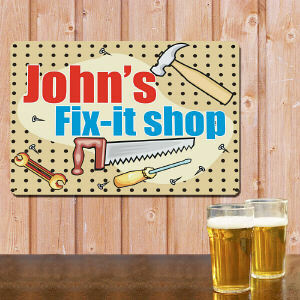 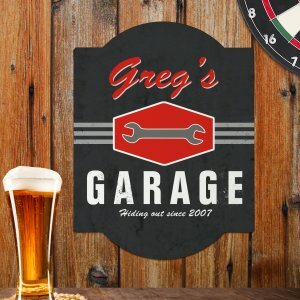 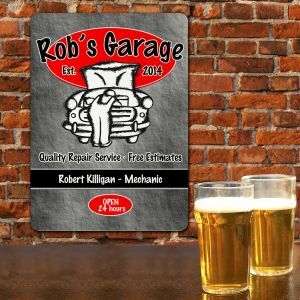 Customized signs for his car or motorcycle garage or fix-it shop are a great way to make his day.